AKontheGO Welcomes You to the New Fun Friday! And, here it is…….! Fun Friday’s fresh, new approach to what’s going on for outdoor family activities, proudly sponsored by Alaska Center for Pediatrics in Anchorage. 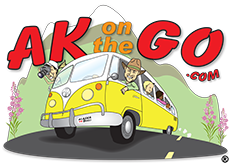 Head on over to the AKontheGO Calendar of Events, today and every day for great opportunities for your kiddos. If you are an agency or organization wanting to list an event, feel free via our “Add an Event” tool, or email us at togoak@gmail.com. 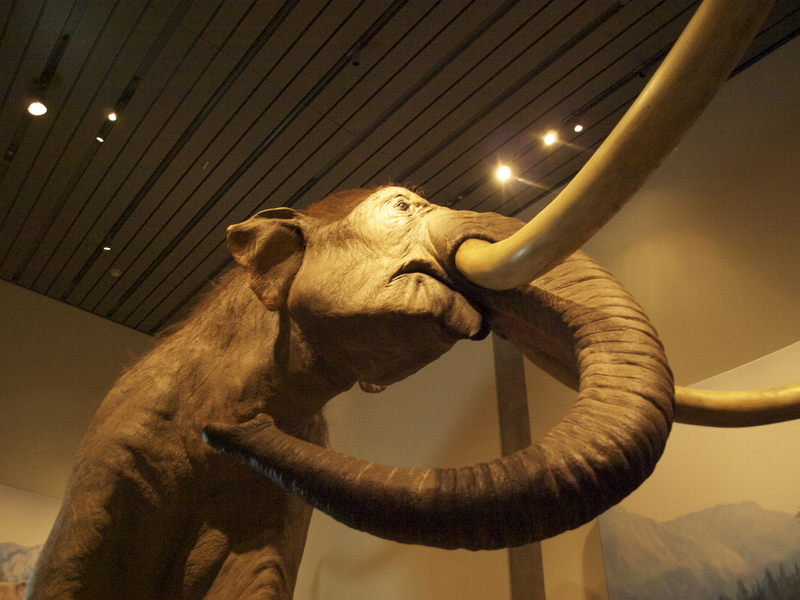 Each Friday we’ll pick out one of these events to feature, and today we’re headed to downtown Anchorage and the Anchorage Museum’s Mammoth and Mastadons exhibit, only on display through October 9. Yikes, that means if you want to see tusks, footprints, and that absolutely adorable baby mammoth, Luyba, you’d better make big tracks to the museum on C street. 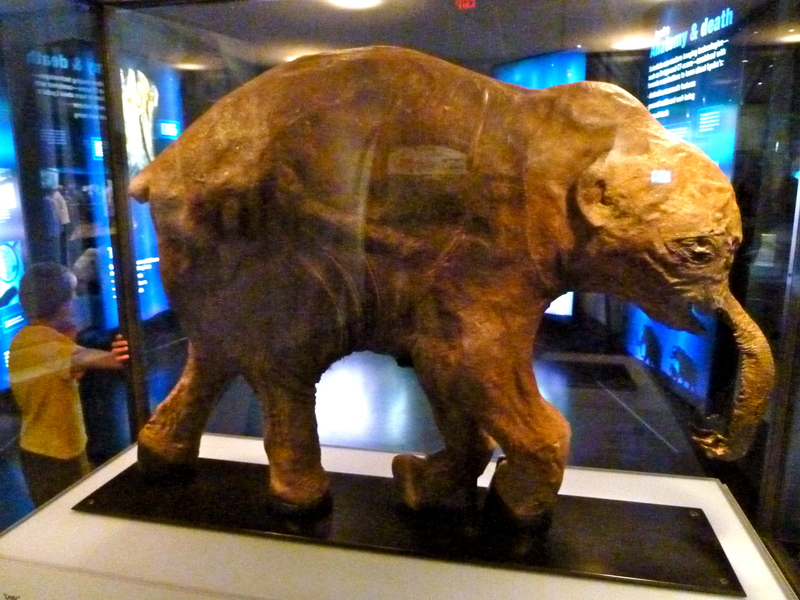 I will admit my initial reticence shelling out an additional $17 for my kid (age 3-12; adults an additional $24) to see a dead mammoth, adorable as she may be. 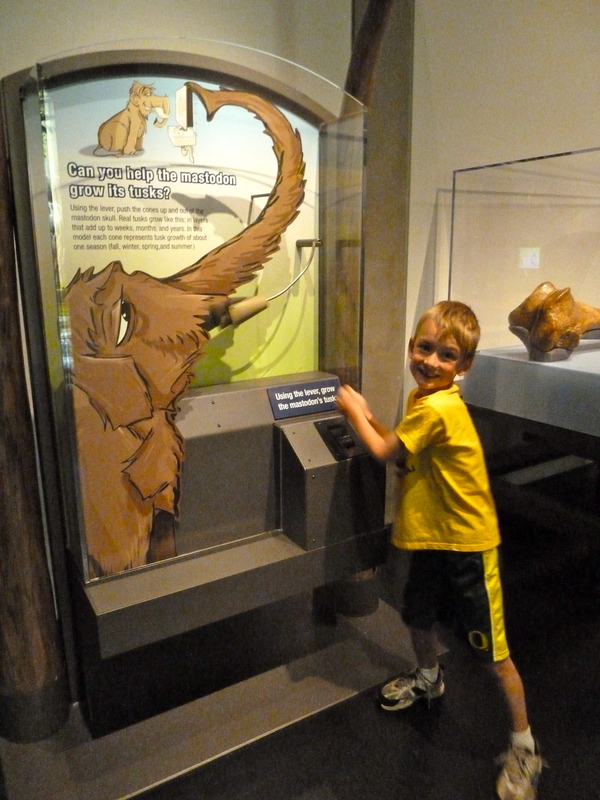 What, pray tell, could a museum do to interest and engage a six-year-old long enough so mama would be able to feel she got her money’s worth out of mammoths and mastadons, and other Titans of the Ice Age creatures? I waited, I hemmed, a hawed, but it was not until AK Cousin came to visit one rainy weekend in August that I went. AK Kid swings his trunk at the Anchorage Museum! Apologies to both the Anchorage Museum and the Chicago Field Museum (who created the initial exhibit in the first place) for not going sooner: Wow! Life-sized, fleshed-out mammoths and mastadons and explanations about each; tusks and casts of tracks; interactive exhibits to explain to my school-aged kiddo how trunks and tusks were masterfully designed by Mother Nature; it was all so cool, so mysterious, and so incredibly beautiful to see up close. At the entrance to the exhibit, families may pick up a Guide which offers kids a map of the area and some activities by which to further their mammoth knowledge. A very nice touch, the guide provides kids their own tool to explore, and gives we parents the opportunity to read the fascinating information about these creatures who were, I will tell you, ENORMOUS. By the time we rounded the corner to sweet little Luyba, my heart was already sold. There she was, all preserved behind glass, her little trunk and little feet with hair still clinging to them. A video played softly in the background and children’s voices asked questions aboout the discovery and preservation of this baby mammoth who, unfortunately became stuck in muck and lost her life at such an early age. Survival was tough back then, and worth taking a minute of explanation to my sensitive AK Kid. 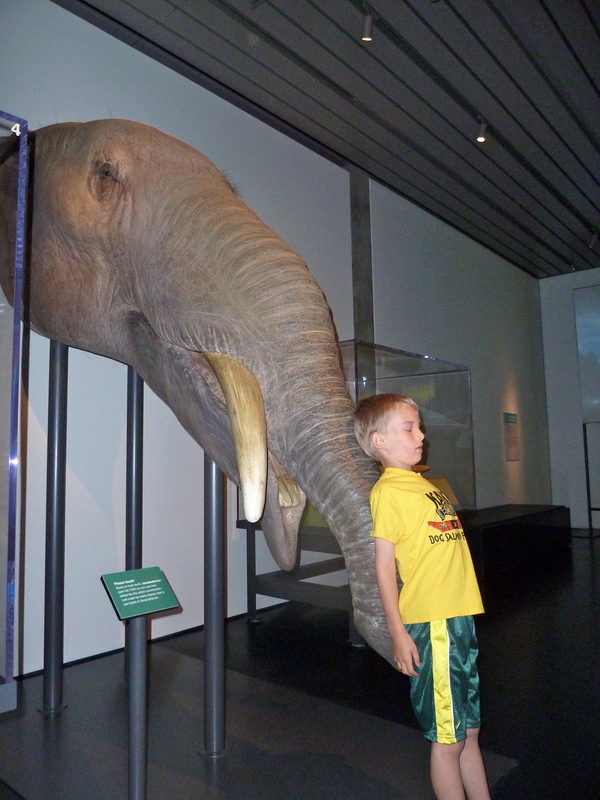 Luyba and AK Kid at the Mammoths and Mastadons exhibit at the Anchorage Museum. Kids were definitely a front thought for designers of the exhibit; they narrated, showed experiments, asked questions, and brought life to what could have been just another boring museum walk-through. I was impressed, and if you haven’t been, I’d consider it. NOTE: I’m hearing from my friends at the Anchorage Museum about some end-of-exhibit specials ready to roll out soon. Be sure we’ll keep tabs on this and let you know as soon as they tell us! The Mammoths and Mastadons: Titans of the Ice Age exhibit is appropriate for older preschoolers on up. Purchasing a Museum Family Pass is an excellent option to offset the extra cost of the exhibit. At $90, it includes admission to the Imaginarium Discovery Center. TODAY is also First Friday, where admission to the Museum is FREE from 6-9 p.m., a great way to kick off the Labor Day weekend! Posted in Downtown Anchorage, Good Deals, Miscellaneous and tagged Anchorage Museum. ← Leaf-Peeping In Alaska? Sure Thing!